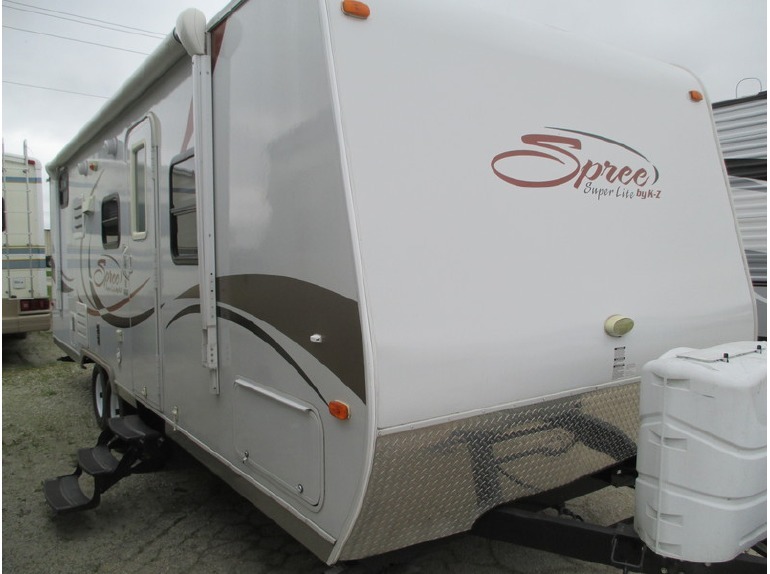 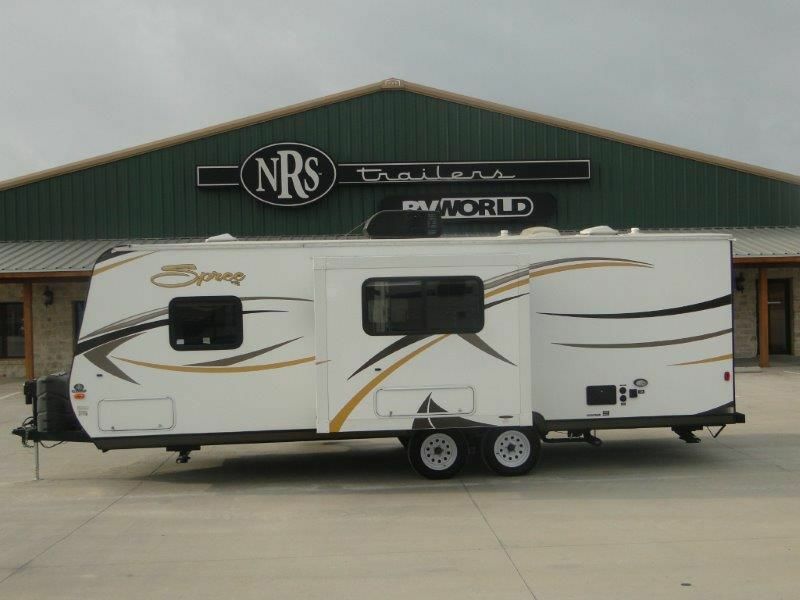 2013 KZ Spree 240BHS, Single Slide Spree Travel Trailer w/ Rear Double Bunks & Single Bunk, Bath w/ Toilet, Sink, Shower, Refrigerator/TV Antenna, 3 Burner Range w/ Microwave, Double Kitchen Sink, Slide-Out U-Shape Dinette, Pantry, Front Queen Bed, Closet, Air Conditioner, & Much More. 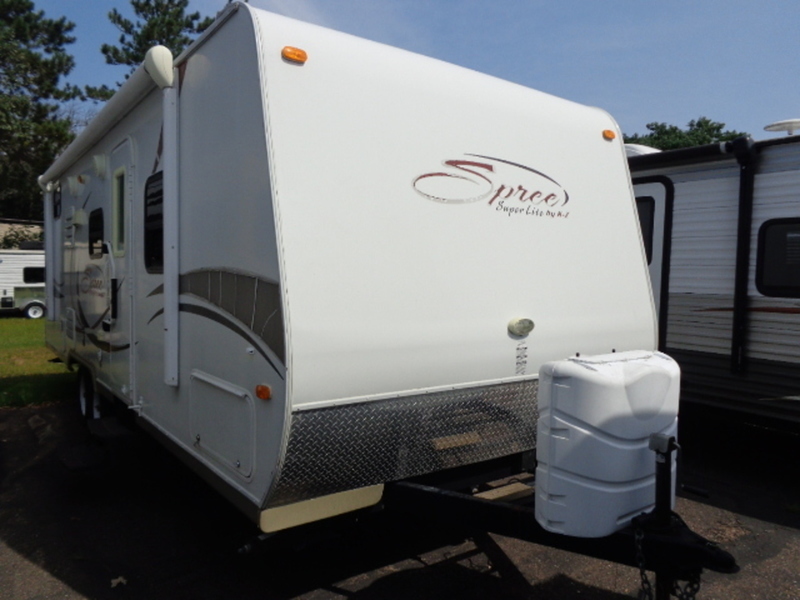 2014 KZ SPREE 240BHS, Here is a Spree 240 with triple bunks! 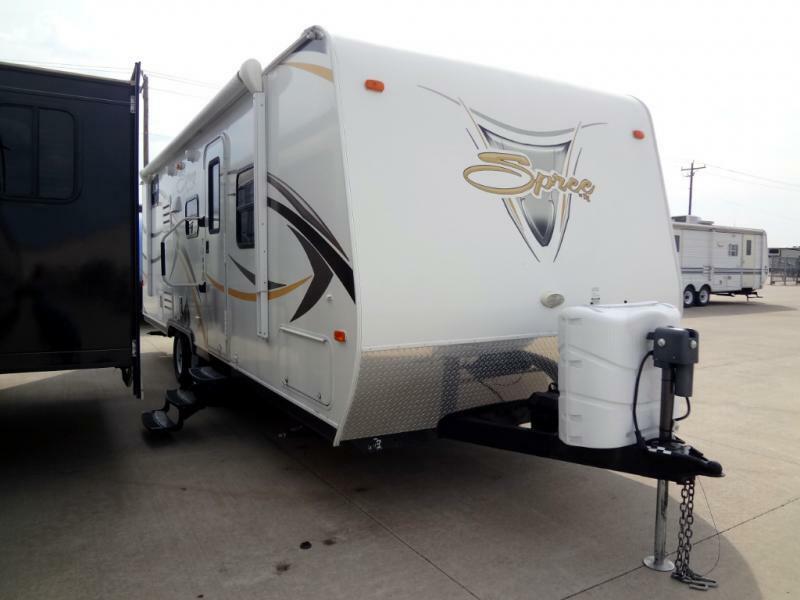 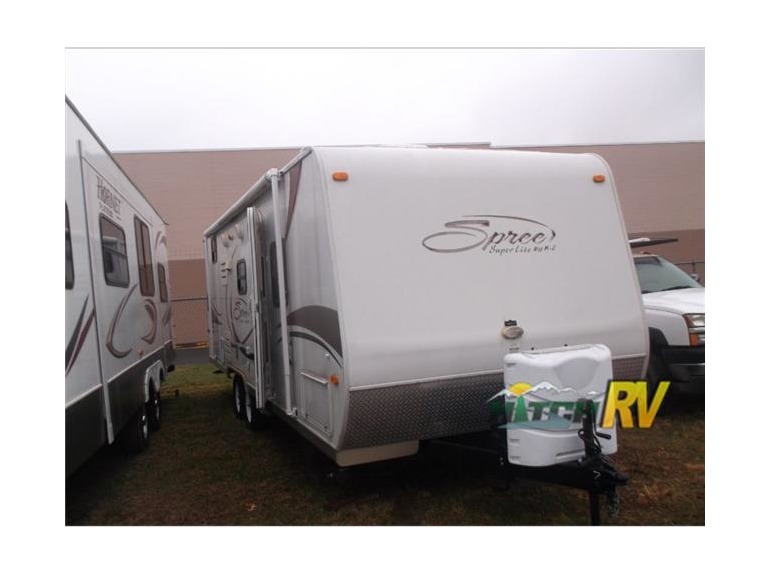 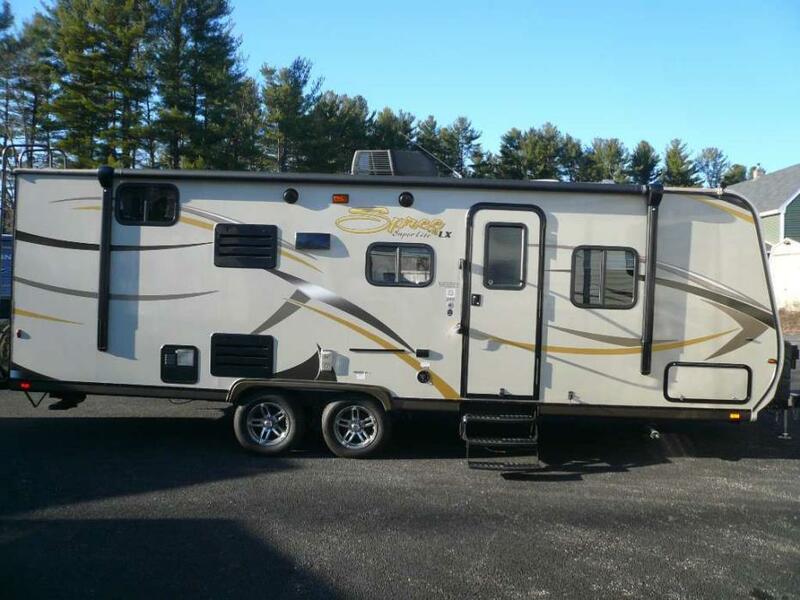 2014 KZ RV Spree 240BHS Rear Bunks (3), Side Bath, U-Shape Dinette Slide, Front Queen Bed 2014 28' KZ Spree 240BHS Travel Trailer Rear bunks (3), side bath, U-shaped dinette slide out, front queen bed, ducted A/C, microwave, pleated shades, 2 flat screen TVs, AM/FM/CD/DVD/MP3 system, power awning, exterior speakers, aluminum wheels, roof ladder, spare tire, exterior shower, power front jack, stabilizer jacks.